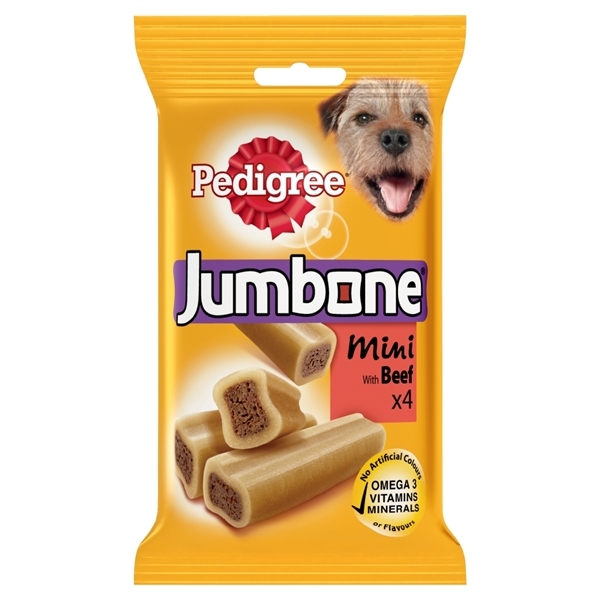 Pedigree® Jumbone® Medium is the perfect longer lasting treat for your dog. Jumbone® cleverly combines a hard chewy outer with a delicious meaty centre - something he can really get his teeth into and tastes fantastic too. Give him the treat he really deserves.